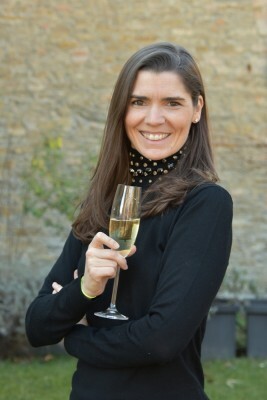 The lady behind Sula Vineyards’ DIA Red & White shares with LifeSpice her views on wines, women and their Bosca Cellar, which is now a UNESCO World Heritage Site. Why do you think DIA is a wine more favoured by women? Women like to drink in a more carefree way, not thinking too much of what they have in their glass as long as they extremely like it and can enjoy. I think DIA, being slightly sparkling, slightly sweet and with a low alcohol content, is much more gentle, just like a woman! I know that DIA has been said to be a wine for women, and I’m flattered by it. Tell us about your association with Sula in India. When I was searching for a partner in India, I had the opportunity to meet Sula Vineyards’ Founder Rajeev Samant. I presented to him Bosca’s philosophy and project for India and luckily he decided to believe in it! It was around 2006 and Bosca had just quit a previous collaboration. Sula was at its beginning, it had not reached the popularity that it has now, but I was very impressed by the Founder and his amazing ideas and approaches. 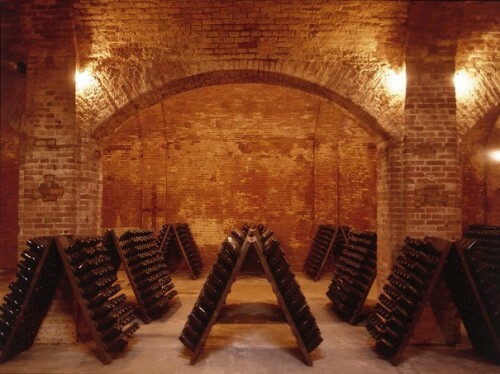 Bosca Cellar recently became a UNESCO World Heritage Site. Please tell us more about this milestone moment. It took my father more than 10 years to achieve this amazing reward. Luckily, he managed to discover that we had been nominated for UNESCO World Heritage the day before his sudden death this past June. He had fought for it, knowing how important this achievement would have been! We are extremely honoured to be the 50th Italian site given a UNESCO World Heritage status. Our main aim now is to cater the immense amount of tourists that this recognition will bring about. We have noticed more people are now coming to visit us. We are working to make the experience of visiting our cellars even more intense, and from June 2015 we will have a light and sound exhibition open to the public. We are also patrons of a very important event: The International Year of Light 2015. We are working to make the experience of visiting our cellars even more intense, and from June 2015 we will have a light and sound exhibition open to the public! India is amongst our most beloved markets, so for sure we will put into place a spectacular package just for the Indians. A grand opening will occur in mid June, related to our new status and our involvement with the UNESCO International Year of Light. From then on, we will celebrate this remarkable partnership with an ongoing exhibition that will involve light and music. Through underground galleries, rooms and caves, the path will be shown by the tales of light and sound. Light, that has been since the very beginning of our venture with spumante an essential element of our lives, will now help understand the mysteries that still hide underground. Come and take part in this spectacular experience! Bosca Cellars are located in Canelli (Asti), Italy. You can learn more about Bosca from here. Tagged Food & Drinks, Interviews, LifeSpice, Luxurious lifestyles, Spirits, The Good Life. Bookmark the permalink.